The abandoned railroad embankment will be studied as a possible barrier against flooding in the south end of Ocean City. It is a railroad that leads to nowhere. There are no trains, no stations and no passengers. 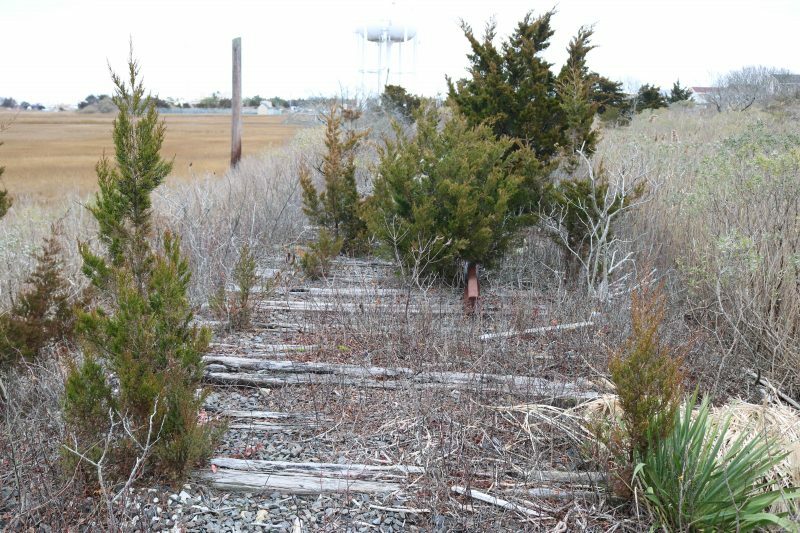 The ghostly remnants of railroad tracks that were abandoned years ago cross through the marshlands in the southern end of Ocean City for about two miles. In place of trains that once carried tourists to the beach resort, weeds, bushes and even trees have taken over the old rail line’s rusty steel tracks and crumbling wooden ties. Although train service is dead, there is a chance that the old railroad may be put to use again – this time as a barrier to protect homeowners from flooding in the south end of town. 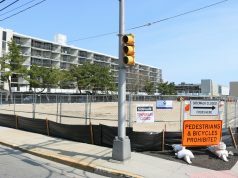 Ocean City has approved a $45,000 contract to have an engineering firm study the possibility of transforming the railroad embankment into a flood-fighting berm that would stretch 11,000 feet long in the neighborhoods between 36th and 52nd streets. Eric Rosina, vice president of ACT Engineers Inc., the company that will conduct the study, said the project would likely cost millions of dollars if it proves feasible. “Is this really possible, and if it’s possible, what’s going to drive the cost of it?” Rosina said in an interview. The remains of the steel railroad tracks are visible crossing over the marshlands. 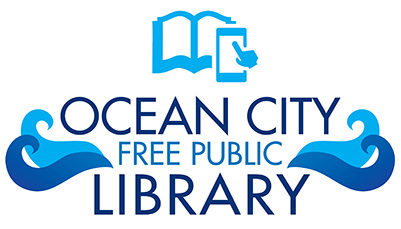 Rosina noted that Ocean City would look to partner with the state and federal government for funding and logistical support with the project. By itself, it would take the city about two or three years to complete the work, he estimated. But if the city received help from the state and federal government, the timetable would be around six months to a year and a half. 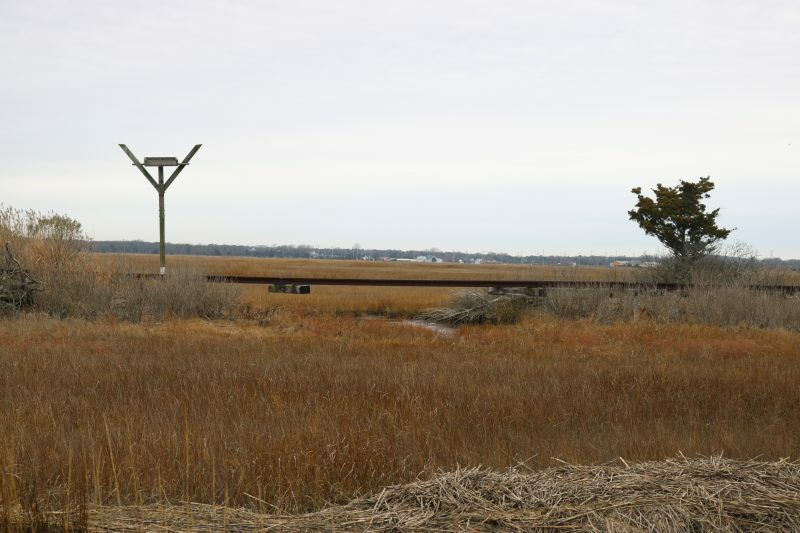 In a nutshell, the study will explore the possibility of reinforcing the old railroad embankment to create a “resiliency berm” to protect the southern tip of the island from flood waters flowing out of the marshlands and back bays. “You are preventing flooding from coming into the city,” Rosina said of the concept. ACT Engineers, based in Robbinsville, N.J., already serves as Ocean City’s consultant for a series of dredging projects to clear out the sediment-choked lagoons and channels along the back bays. Rosina explained there are environmental challenges to be considered in building a flood barrier using the railroad embankment. 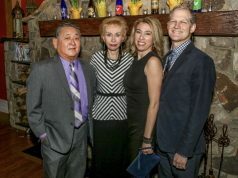 While such a barrier could protect homes from flooding, the city would have to be careful not to cut off the ecologically sensitive wetlands from the back-bay waters that feed them, he said. Weeds, bushes and trees are overrunning the rotted wooden railroad ties. As city officials continue to look for ways to reduce flooding on the low-lying island, the old railroad presents itself as an intriguing option. 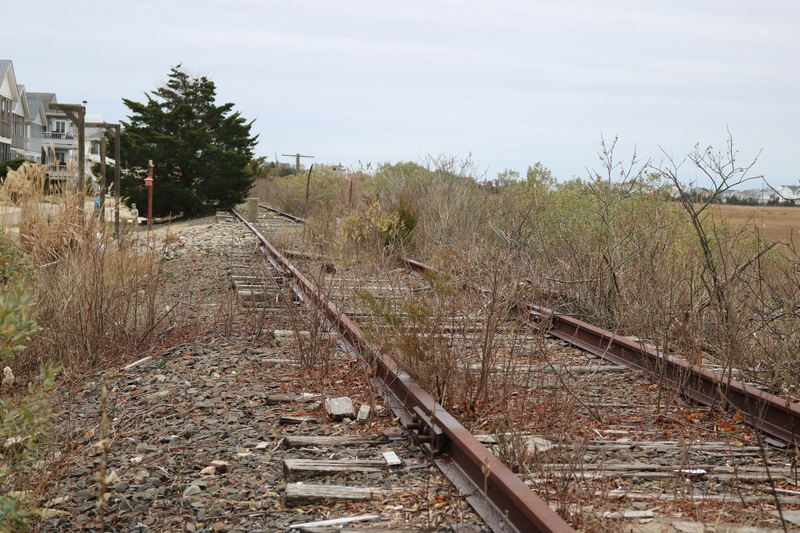 Train service in Ocean City was halted decades ago, but the embankment that supported the tracks still remains. Rosina pointed out that there are some gaps in the embankment that allow flood water to invade the south end neighborhoods. ACT Engineers will study whether the embankment can be reinforced in some way to block the flooding. A new barrier created out of the remnants of the old railroad embankment is just one part of a broader flood-control strategy under consideration by city officials. Drainage improvements, pumping stations and road construction – the types of flood-mitigation projects that have been used in other parts of town – are being discussed for the south end. Fourth Ward Councilman Bob Barr, who represents the south end, indicated that a “very large drainage project” is likely in the future. More immediately, the city plans to replace some of the trees and vegetation that were cut down along the marshlands off 52nd Street in late 2017 during a maintenance project that drew the anger of local residents. Mayor Jay Gillian later apologized to residents for what appeared to be an “overzealous” job by the city’s contractor in cutting down the thicket of trees, bushes and marsh reeds. 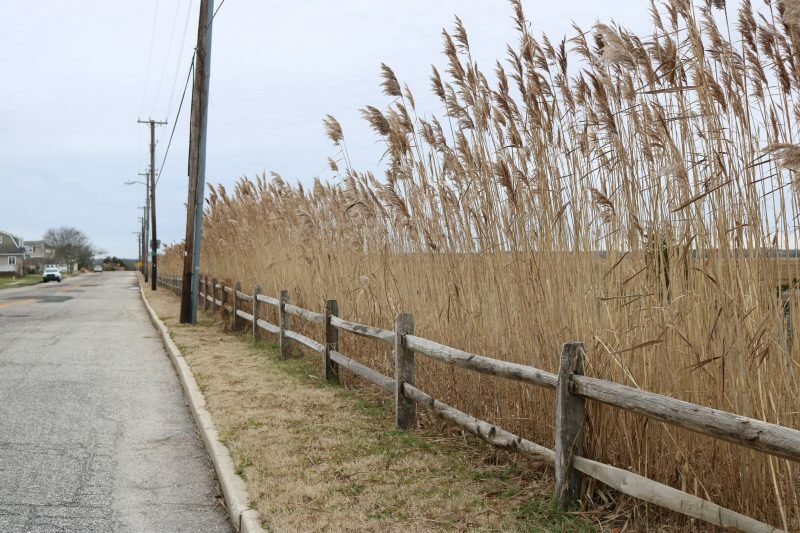 Although marsh reeds have since regrown, trees and bushes were chopped down late last year along the fence line at 52nd Street, prompting complaints from local residents. During the Dec. 13 City Council meeting, Gillian said that the city will consult with ACT Engineers about a tree-planting plan for 52nd Street. 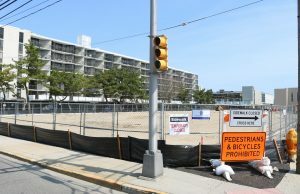 The city intends to schedule a public meeting with residents of the Fourth Ward to discuss 52nd Street, as well as other flood-mitigation projects in the south end, the mayor added. “Once we figure out exactly what we should do, or shouldn’t do, we’ll get everybody together,” he said. “When will this be restored?” Moore asked the mayor and Council members. Barr responded that the city expects to begin replacing the chopped-down trees and vegetation early in 2019. 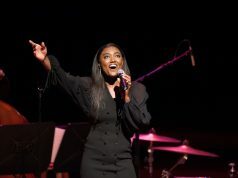 At the same time, he noted that whatever is done on 52nd Street must be performed “in concert” with the city’s flooding study and drainage projects.